We manufacture and install a full range of Anti – Ligature products. We are able to supply products from a variety of the leading system suppliers, though we have found the Kestrel magnetic system to be best suited to most installations. Two areas have been identified as environments where persons are at greatest risk of self-harm: mental health hospitals and prisons/detention centres. The Kestrel Anti-Ligature System provides a highly effective means of greatly reducing the risk of self-harm. Its load-release brackets are discreet and attractive, and the system is in use in psychiatric institutions and prisons throughout the UK. The Kestrel system is simple and extremely effective. It will securely hold a range of items by powerful short range magnetic attraction. When an abnormal load is applied the magnetic force is overcome and releases its load. And it can do this time after time. There will be no decline in performance, and as there is no mechanical restraint at all, nothing can jam, break or wear out. 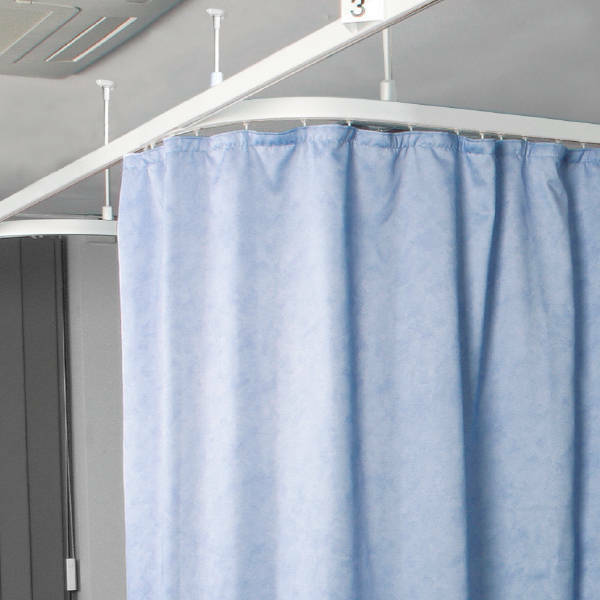 The rigid, high-grade aluminium track section and maintenance-free, wheeled roller hooks are just an introduction to the many features of the Kestrel® K100 curtain divider track system, which is in use in many hospitals globally. Designed to give years of trouble-free service and made specifically for high-risk mental health areas, this curtain divider track system uses magnetic wall-fix brackets where the tracks meet the wall, and magnetic top-fix brackets where suspension hangers meet the ceiling. This ensures that, under excess load, the suspension hanger separates from the ceiling bracket leaving no remaining points of ligature - a highly essential safety feature, as it is surprisingly easy to attach a cord to a fixed vertical rod and use it as a ligature point. Supplied with a curtain removal point standard. 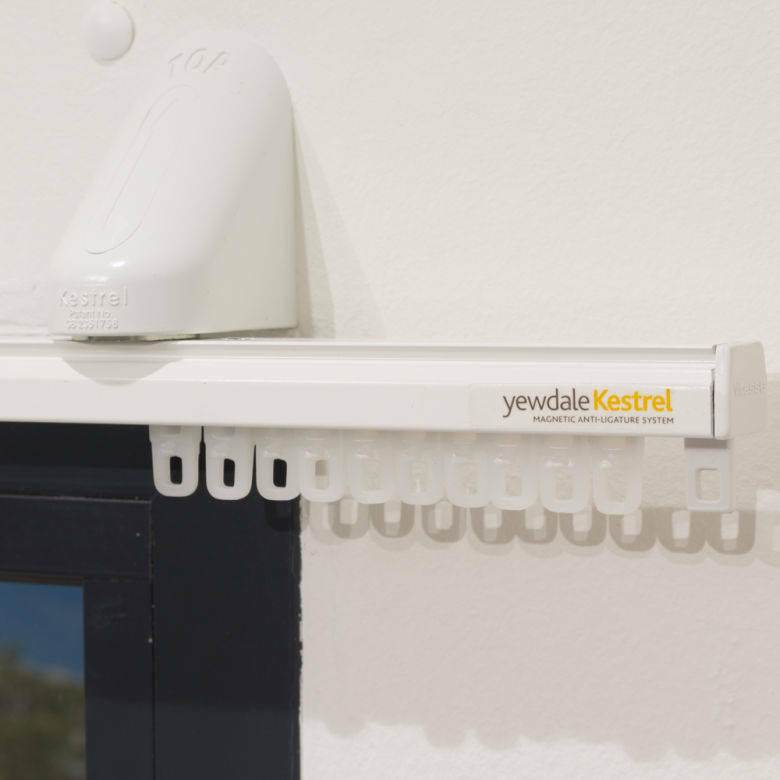 The Kestrel® K6200 window curtain track is a white powder-coated aluminium track which is both lightweight and strong. It is ideally suited for ease of use in all hand-drawn curtain applications thanks to its roller runners. Tests have shown that for anti-ligature purposes it is most important that the complete track collapses leaving no point of ligature. Even where a fixed track provides no ligature points, heavy weights can be suspended from the curtains which in turn is a serious risk. With the K6200 the track and curtain will part from the Kestrel® brackets under abnormal load and can then be simply and quickly reinstated. 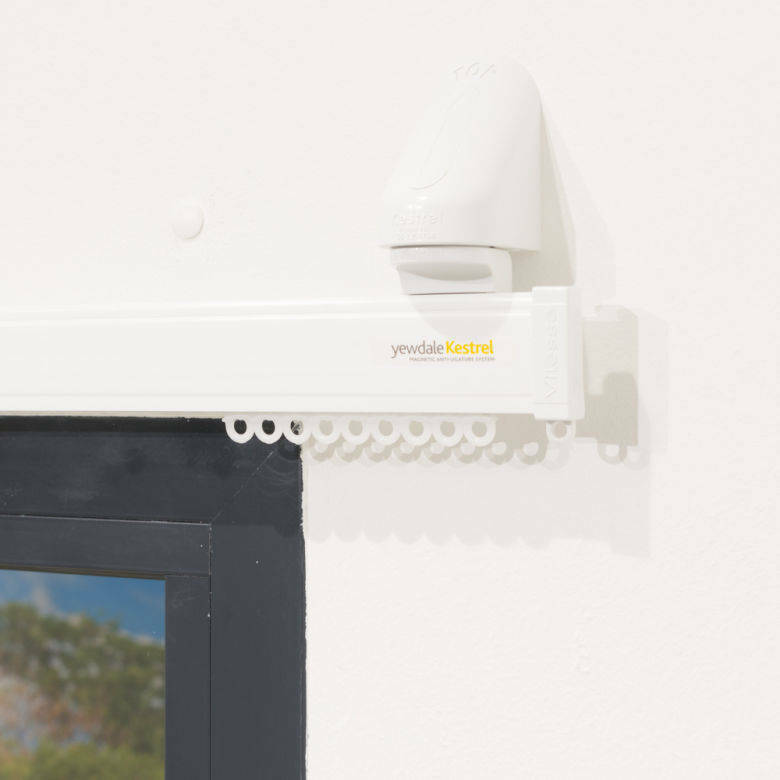 The Kestrel K9500 flexible window curtain track has been developed in response to UK Government requirements and is constructed from a specially formulated plastic which is lightweight and strong. It utilises self-lubricating gliders for ease of use in all hand-drawn curtain applications. Tests have shown that for anti-ligature purposes, it is most important that the complete track collapses leaving no point of ligature. Even where a fixed track provides no ligature points, heavy weights can be suspended from the curtains which in turn is a serious potential risk. With the K9500 the track and curtain together will part from the Kestrel® brackets under abnormal load and can then be simply and quickly reinstated. Only for use with lightweight curtains and where the risk of violence precludes the use of the standard K6200 aluminium track. 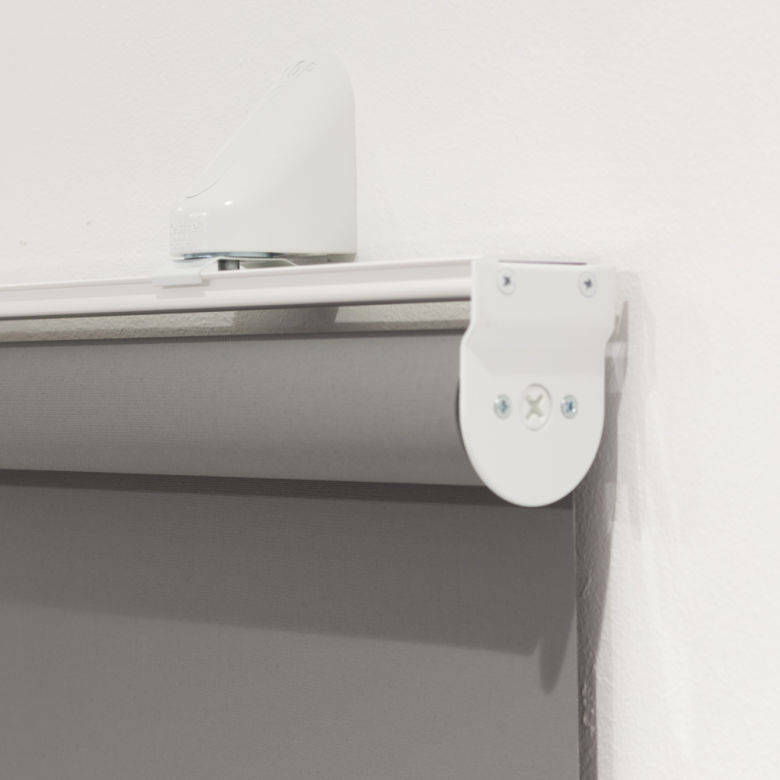 The Kestrel KR20S roller blind has a slow-rise spring which ensures smooth and quiet operation. White metal universal brackets fitted to white aluminium back bar for face, top or side fixing with 32mm grooved aluminium barrel. The fabric is locked into a groove in the barrel. There is a white tear drop aluminium bottom bar with cord pull as standard. This system uses magnetic wall-fix/top-fix brackets. This ensures that, under excess load, the back bar separates from the bracket leaving no remaining points of ligature. 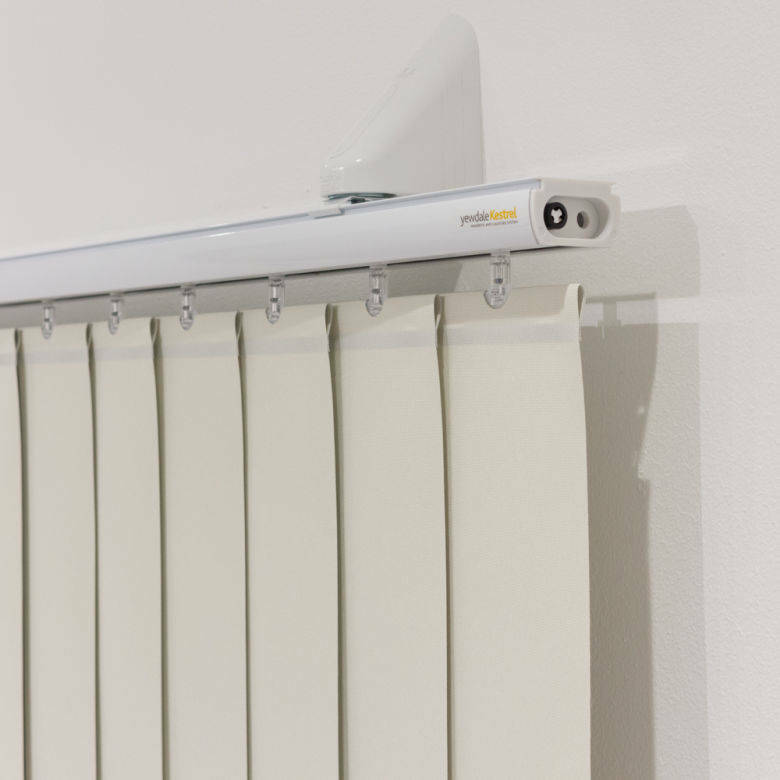 The Kestrel KVL31 premium vertical blind, with added wand control, provides a safe solution for a host of anti-ligature shading requirements. Incorporating 40 x 25mm premium profiled white alumium head-rail and wheeled replaceable plastic carrier trucks, and magnetic wall-fix/top-fix brackets. This ensures that, under excess load, the head-rail separates from the brackets leaving no remaining points of ligature - a highly essential safety feature. The constant transport of the louvres is guaranteed by the precision made aluminium spindle shaft. Wand control operation with built-in slip clutch for louvre tilt. 127mm and 89mm louvres available - all with enclosed louvre weights.